Refurbishment of a Victorian four-storey terraced property in East London. An existing late 20th-Century two storey extension to the rear of the property has been overhauled and modernised, with structural alterations and a fully refurbished interior to the ground and lower ground floors of the property. The flow and functionality of the interior has been much improved while articulating the chronology of its development. A new generous shower room and adjacent roof terrace with outdoor bath has transformed how the upper floor of the property is utilised. 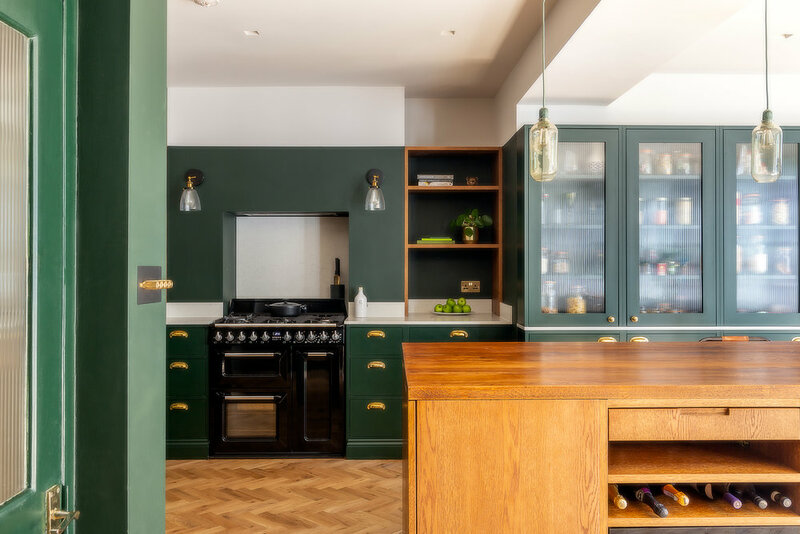 The interior refurbishment includes a highly bespoke kitchen, custom-made joinery to a number of areas, renewed finishes and decorations and an enlarged lower ground floor utility and storage area. External enhancements include new Crittall windows to the rear and a timber finned privacy enclosure to the roof terrace. The project was completed in early 2018 and is now available to rent through Airbnb.